Earners of this badge will demonstrate a basic understanding of security awareness topics as they relate to the ever-changing cyber threat landscape. This understanding serves as a basis of knowledge surrounding the Symantec Security Awareness Service (SAS) video library. 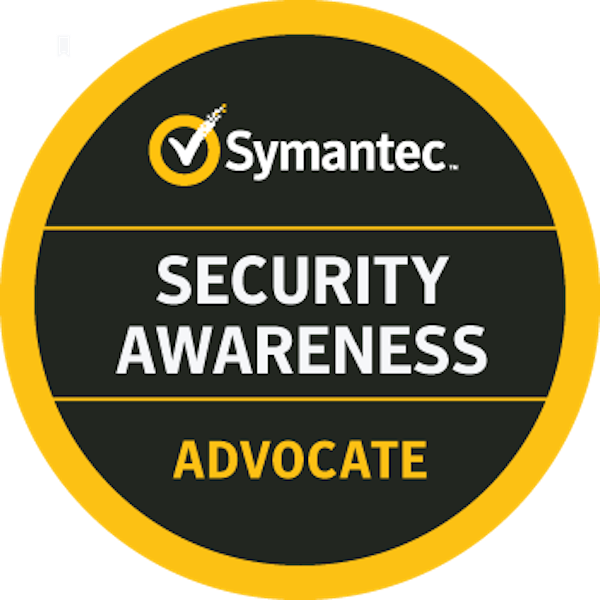 Watch the complete Symantec Security Awareness Service (SAS) library. Successfully complete the Symantec Security Awareness Advocate (SSAA) exam. Register through CertTracker.